Is this the time the New York production community has been waiting for? Well it’s been a busy time for the Mayor’s Office of Media and Entertainment (MOME). The office oversaw some 188 films that were shot on location in New York. That’s in addition to 140 television series, while about 13 television pilots are set to be shot in the City this Spring. Photo credit Paul Leonard. From left, Film and TV commissioner Katherine Oliver, city Development Corp. president Seth Pinsky, actress Gretchen Moll, Brooklyn Borough President’s chief-of-staff Carlo Scissura, Steiner Studios chairman Douglas Steiner, Mayor Michael Bloomberg, city Small Business commissioner Robert Walsh and Council Speaker Christine Quinn. Image and info courtesy The BedStuyPatch. 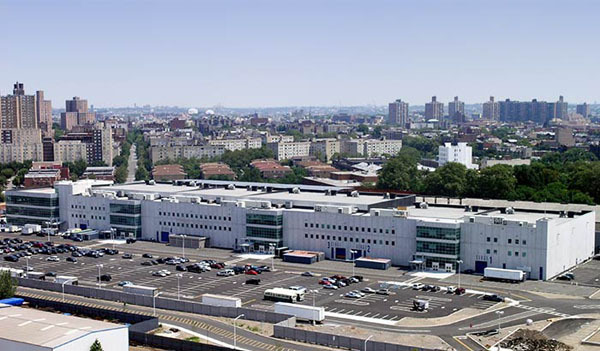 That brings an additional 45,000 square feet to the Brooklyn Navy Yard-based facility, adding up to 10 stages in all. But that’s still not nearly enough room for productions clamoring for space; Steiner plans to double the size of its lot over the next few years. Steiner Studios president Douglas Steiner said the expansion will add some 500 to 750 permanent jobs on the lot. This is in addition to Steiner’s plans to bring a Carnegie Mellon initiative–its Advanced Digital Media Lab–to the Studios as part of a plan to create a 50-acre media campus “furthering New York City’s explosive growth and vast potential in content creation and distribution”, according to a Steiner Studio press release. According to press reports, Steiner isn’t an anomaly. Crain’s New York says that Silvercup Studios is searching the city for more potential stages to add to its existing 18. Other facilities building out are Greenpoint’s Broadway Stages and Kaufman Astoria Studios, which recently opened an 18,000 square foot soundstage. In February the City granted its blessing to the studio in the guise of a pass on the Urban Land Use Review (ULURP) process. The Astoria-based facility will be able to block off streets to create an outdoor “black-box” working stage for productions. This will be the first outdoor area in the tradition of a Hollywood lot where productions can construct false facades and otherwise shoot exteriors for special effects shots. While New York has always offered access to top talent in front and behind the camera, most consider the state’s 30% production tax credit as a major boost. Renewed a year and a half ago, the credit is now granted by the state legislature on a five-year basis instead of the usual short leash of one to two years at a time. This longer time period allows studios and related funding sources to feel more secure about sinking money into larger projects. MOME also announced a $500,000 training grant program on Monday. Aimed at building up the City’s media industry, small businesses will be able to compete for grants that will pick up 70% of the tab to recruit and train more workers in “cutting-edge technologies”, including those from under-represented sections of the City. While not directly related to production, the Mayor also announced that the New York Economic Development Corporation and the Mayor’s Office of Media and Entertainment will issue a request for proposals to establish the “Made in NY” Media Center that will offer affordable workspace to entrepreneurs and also host workshops and training sessions.